The Martin Yale 1632 Automatic Desktop Letter Opener saves time and money. The Martin Yale 62001 Letter Opener is the high end machine of our product line, and is intended for high speed processing in large mail-out environments. 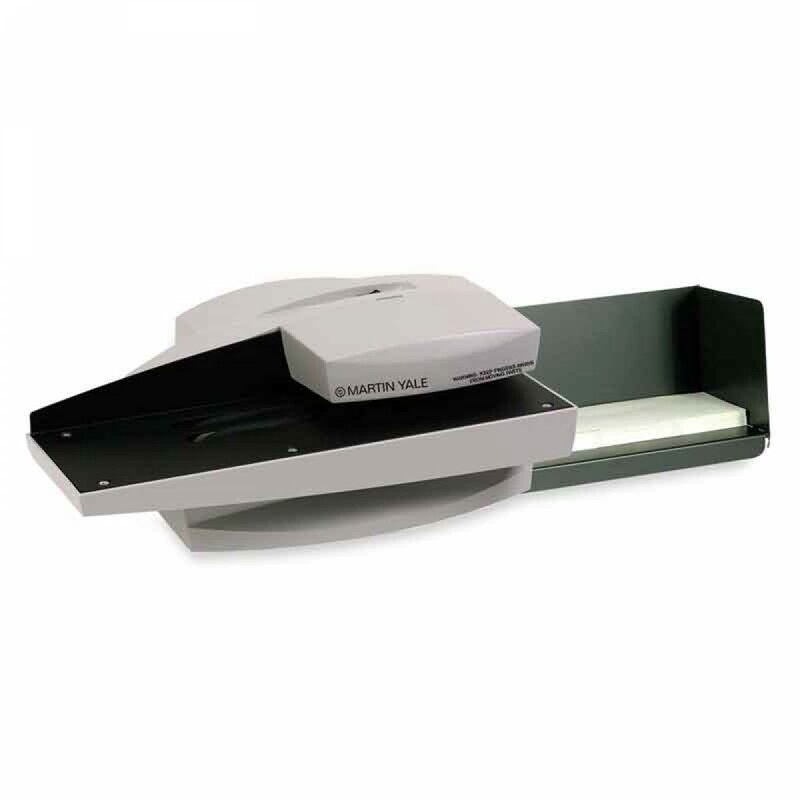 Unit automatically feeds, opens and collects a stack of envelopes. Operation speed of up to 17,000 envelopes per hour. Premium features include adjustable feed system, safety-switch protected lid and adjustable cut-depth.